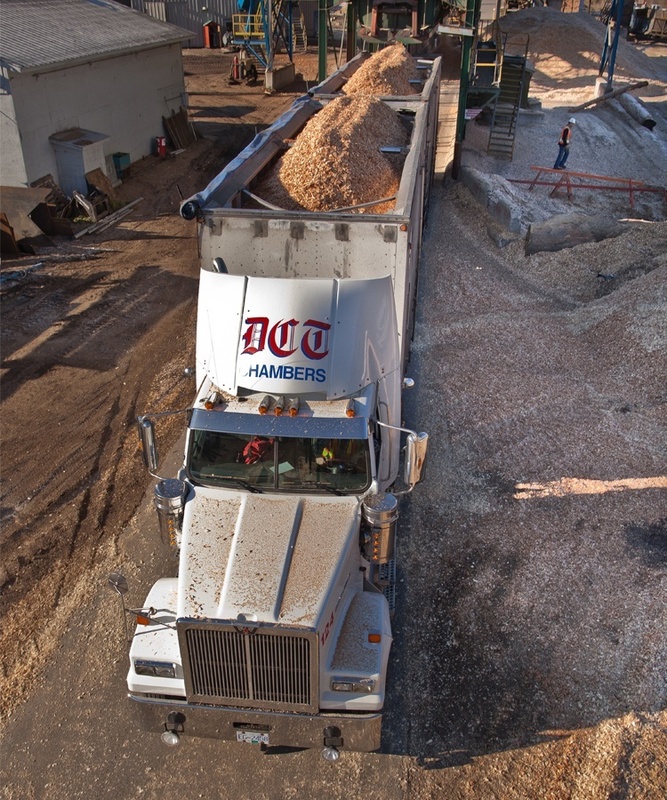 After five decades and three generations of Chambers’ family pride, innovation, and attention to detail DCT Chambers has proven to be a competitive leader in the transportation and handling of forest products. DCT’s flagship high-cube super b-trains, are a common site in resource based communities throughout BC and Alberta. 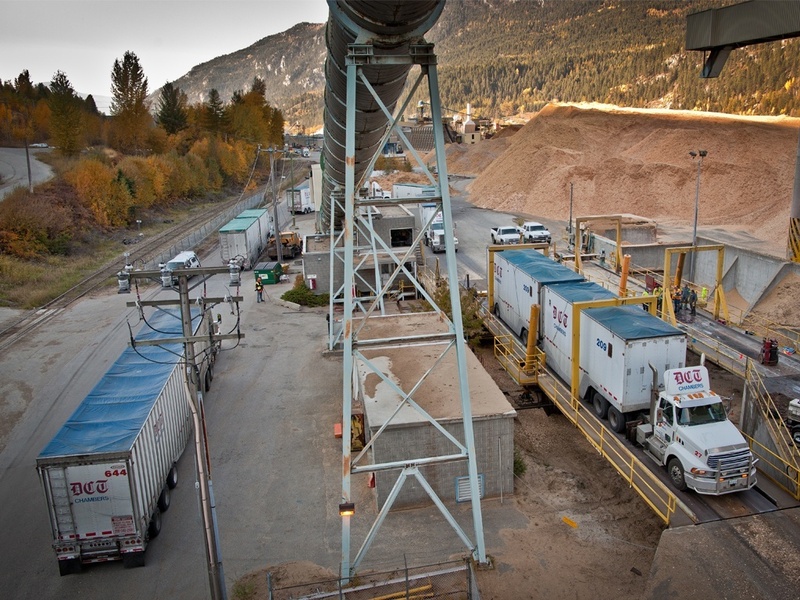 Since 2003, DCT has been operating a major chip mill conveniently located in Chemainus, BC. On a 4.3-hectare paved site, an impressive de-barker and chipper churn up to 2,500 cubic metres of balsam, fir and hemlock logs into wood chips every day. Load tracking – real time GPS technology with on-going data review and planning. Bin monitoring – inventory management of fibre stock piles and production and bin systems was the foundation of operating an efficient supply chain for the pulp mills. Production Planning – expertise to balance the conflicting needs of pulp mill demand and saw mill production with irregular routes and limited inventories. Advanced hauling equipment – since the 1960’s Transportation Regulation days, DCT Chambers has remained at the leading edge of efficiency and tractor trailer specifications. Competitive advantage remains today as new equipment specifications push the limits of load standards and truck performance. Cross-border transportation – managing equipment requirements and labour force in the USA and in Canada requires an experienced carrier in cross-border hauling. DCT has a lengthy history of truck and trailer operations that comply with all jurisdictions and operating regulations. DCT is currently hiring drivers.$500 Hiring Bonus. APPLY NOW!